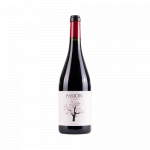 The Bodega Sierra Norte Pasion de Bobal Magnum 2017 (£166.90) of Bodega Sierra Norte: a red wine from Utiel-Requena that is made of bobal of 2017 and presents an alcohol content of 13.5%. At Uvinum, this red wine scores an average rate of 4 of 5 points. If you want to buy Bodega Sierra Norte Pasion de Bobal Magnum 2017, at Uvinum you will find the best prices for Utiel-Requena red wine. Get it at Uvinum, 100% safe, fast and easy. 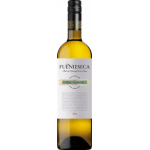 We have more than 59.000 products for sale in our catalog becoming this way the leading marketplace to sell wine, beer, and spirits in Europe thanks to more than 38.000 customers who shop at Uvinum.